The resort features 150 UDI campsites, 463 Condominium sites and 20 sites that are used for preview visits to experience River Bend RV Resort. 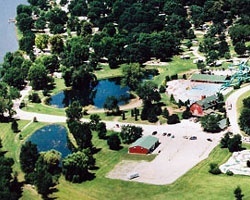 The River Bend Inn is located inside of River Bend RV Resort and offers a first-class restaurant and lounge overlooking the rolling Wisconsin countryside. 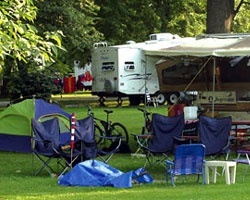 Also, as an owner at River Bend RV Resort you are able to camp and enjoy all of the facilities of their sister resort in Door County WI, Harbor Village Resort. Enjoy nature bring your RV or rent one of our trailers! In Caladonia, OH! Outdoor enthusiasts highly encouraged to inquire!